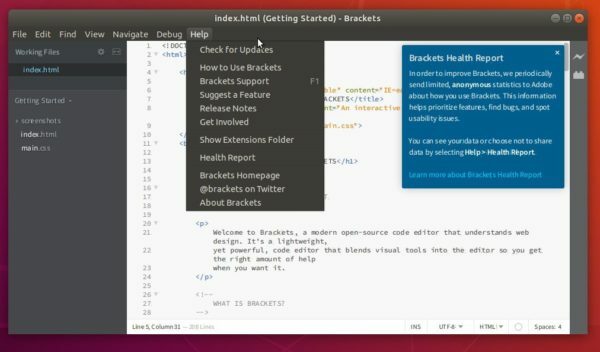 Adobe Brackets code editor 1.13 was released a few hours ago with some great new features. Open a remotely hosted web-page from within Brackets. Brackets can now be updated with just a few clicks from within the app. Just grab the .deb that matches your OS tyle, then click install via Gdebi package manager.